Minister for Law and Home Affairs K Shanmugam shared in his Facebook about the case of a resident who complained about rats problem in Chong Pang. 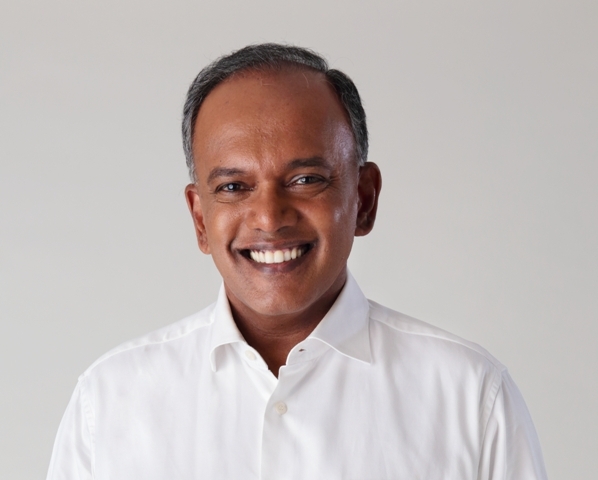 Mr Shanmugam is the MP for the Chong Pang division of the Nee Soon GRC. He did not name the resident, but he referred to Block 107 Yishun Ring Road, in his note. The Minister said that the resident shot repeated emails about the non-action of public officers, and that he was sarcastic in his email correspondences. He said that when his grassroots leaders made an appointment to meet him on a Sunday morning at 7.30am, the resident switched-off his mobile phone and did not respond to them. The Minister claimed that the resident deliberately wasted the time of his officers. The Minister expressed that mocking grassroots leaders who spend countless hours serving the community was unacceptable. Public officers deal with thousands of members of the public every day, on different issues. They try their best to help. On many such occasions, they need to work with the public to help resolve municipal issues at hand. Most residents are helpful and understanding. And sometimes our public officers are wrong. When that happens they get disciplined. But from time to time, our officers also get verbally abused, with unfair, sarcastic or offensive remarks. Recently a resident wrote to me complaining about rats. Even as the staff from the People’s Association, Town Council and Residents’ Committee tried to help, he continued to write emails peppered with sarcasm to mock them. He seemed to think that he had a right to do so. “Thank you for making wonderful visit (sic) almost every week at Chong Pang Blk 107. Maybe you have been too busy meeting the residents and grassroot members are also blinded by the job to served (sic) as much every week on non essential matters. I would like to share a little secret with you…you have a new family in our neighbourhood and maybe you and your grassroot team would like to meet them personally. I have uploaded a video to introduce themselves to you and maybe you could drop by when you are around next week.’’ He then uploaded a video of some rats. He was being sarcastic, even while acknowledging my regular presence. We responded. I told him that the Town Council was dealing with the problem. I then told the Town Council staff to see him, and explain to him what steps were being taken. The officers contacted him and made an appointment for a Sunday morning at 7.30am. Three Town Council representatives, one RC chairman and one PA staff waited for him. The resident switched off his mobile phone and didn’t turn up without any notice! He deliberately wasted the time of the officers, and the RC volunteer. When he was sent an email setting out his conduct he responded sarcastically – that he will give a further response. But nothing has been heard from him since then. We do our best. Most of the time people understand what we do. But once in a while we come across persons, who behave with nastiness, mocking grass roots leaders who spend countless hours serving the community, and mocking the hard working staff of the Town Council.